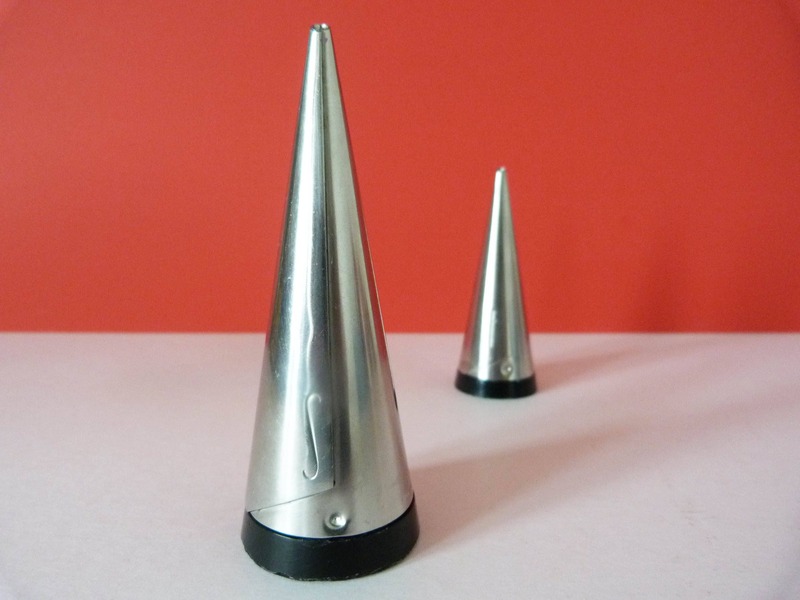 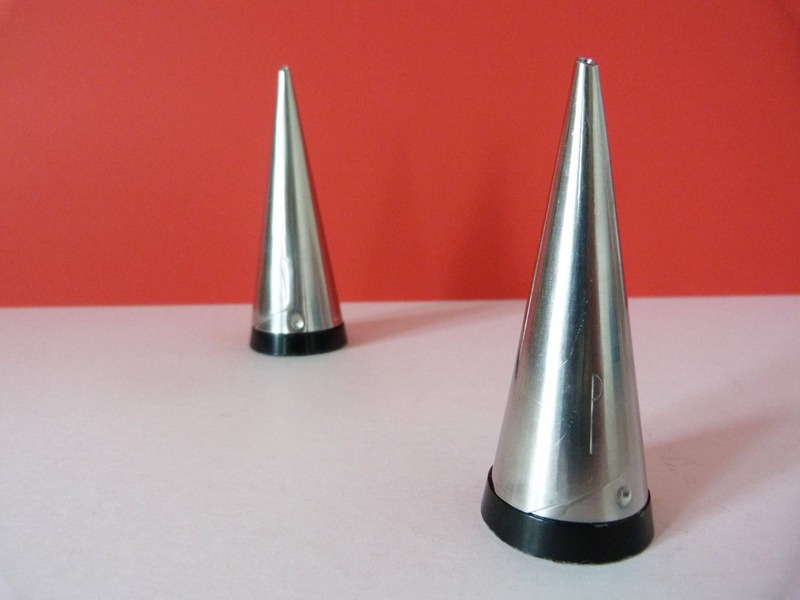 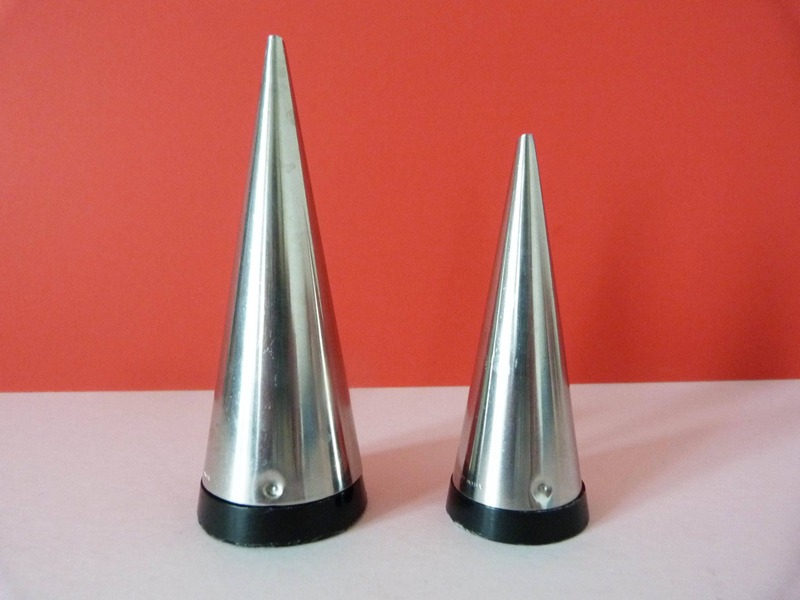 1955 18/8 stainless steel salt and pepper pots with Bakelite Bases designed by Pierre Forssell for Gense Sweden. 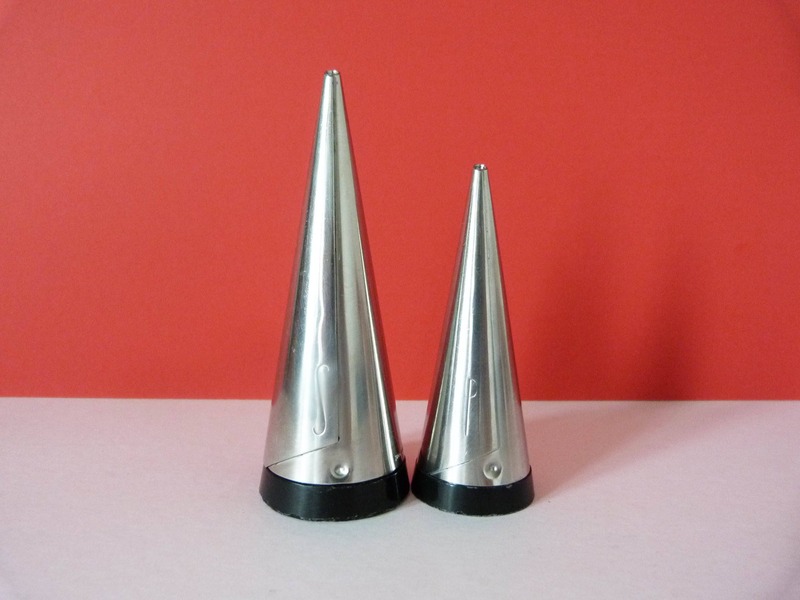 The Pepper is 9.2cms or 3.7ins tall and both items are fully marked and signed by Pierre Forssell the designer. 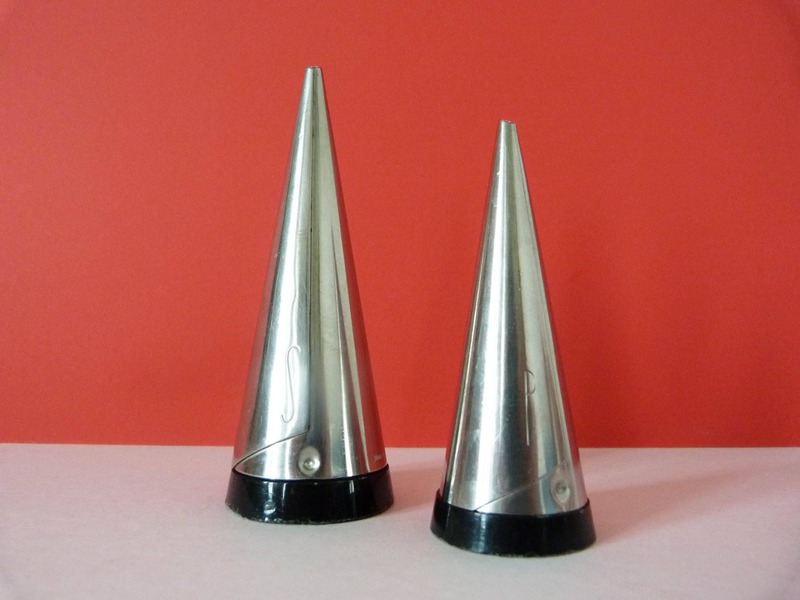 A classic modernist design its hard to believe these were created over 60 years ago and are still as functional and beautiful today as the day they were created. 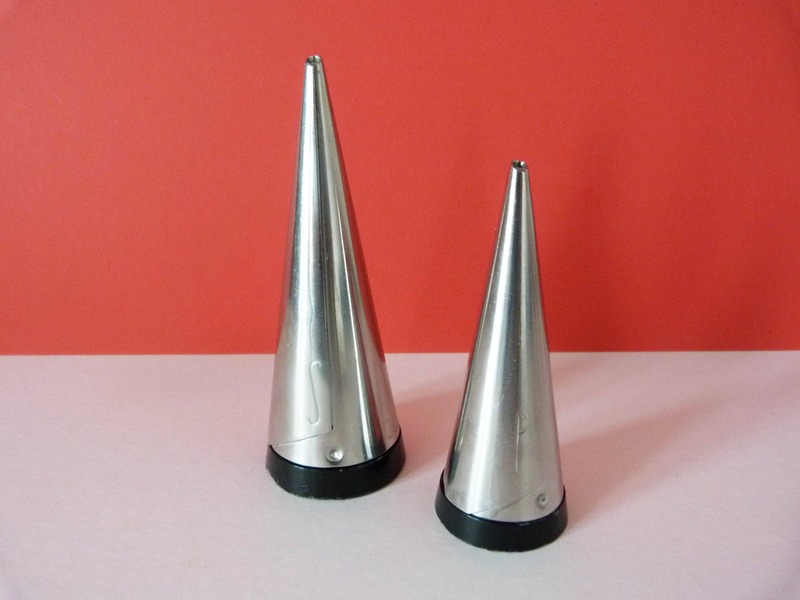 A wonderful find. 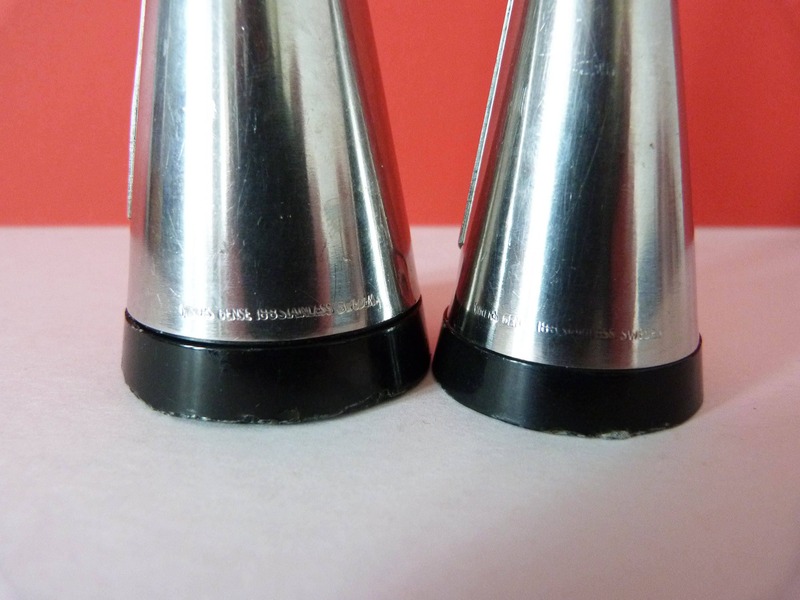 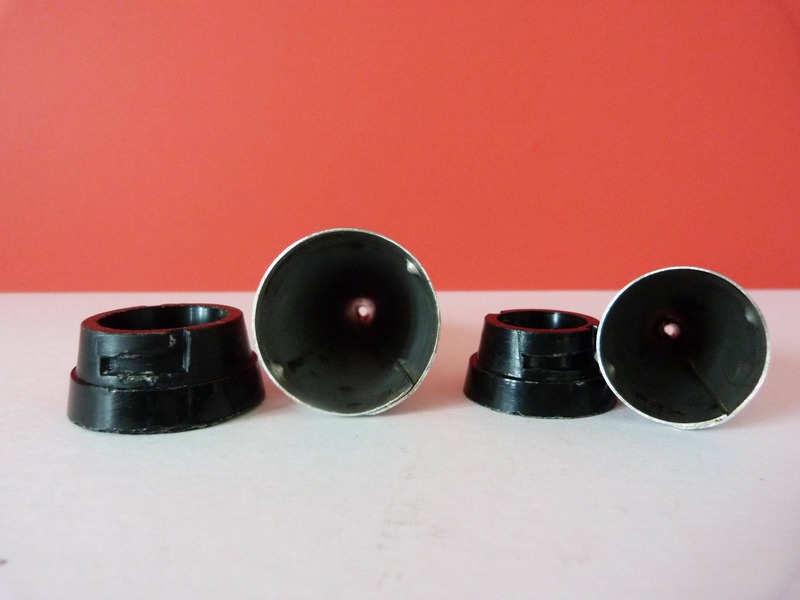 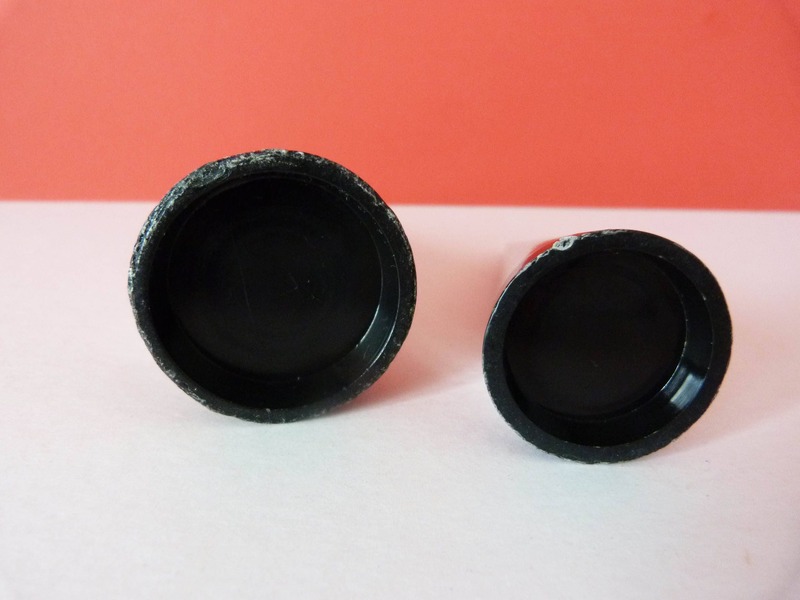 Condition is good, there is some ware to the bakelite bases, (see photos), although these are a little worn this does not affect the function of the groove and screw slots that hold the funnels to the bases.